These men are fathers to daughters. They are strong enough to be endlessly tender. They are determined enough to provide for their girls. They take their role seriously enough to be silly. Frequently silly. 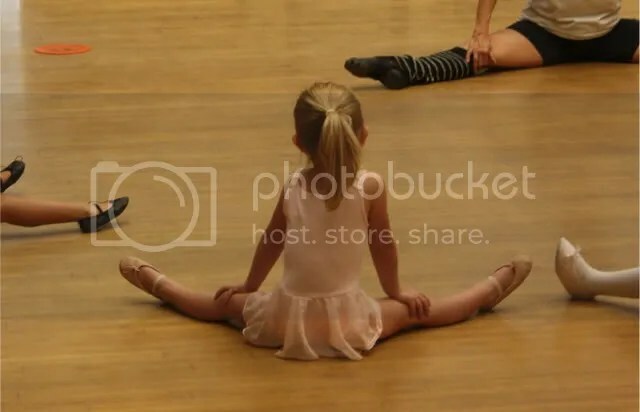 They are fearless enough to dance, sing, and play “pretend”. They are smart enough to teach, to guide, to show. They know to savor story-times, conversations, and sweet questions. They drink in tinkling laughter, melting hugs, and sleepy breath. 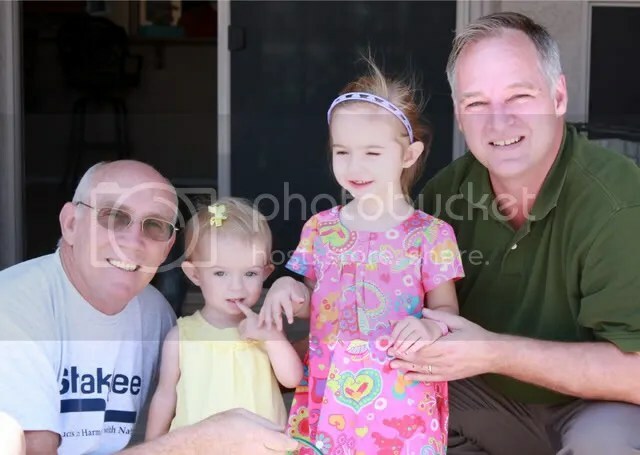 These men know that their little girls have great big dreams and beautiful spirits. And they would give their very lives to protect them. These men are more than fathers. They are daddies. And they are heroes. And their girls are all so very lucky to have them. On this Father’s Day and every single day, we love you both so much. 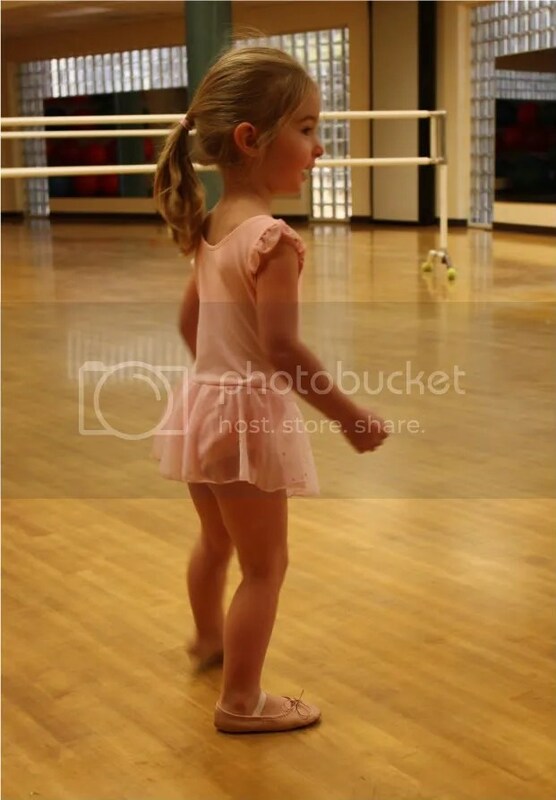 the Bean took her first ballet class through Parks and Rec last week. Think she liked it much? This fairly well-known salad is one of our summer favorites. It has been known to be eaten by the bowl-ful at our house, out of Ziploc bags on the beach: (can I get an amen, long-lost Rocky Point ladies? ), and out of large styrofoam cups and emesis basins at night-shift potlucks. It is super-easy. Just chop, shred, drizzle, mix. Even easier if you take a short cut or two… use your imagination. Pour dressing over. Mix. Refrigerate over night. Check seasoning. Add vinegar, sugar, oil to taste. I usually just bake a bag of frozen boneless chicken thighs or breasts, drain them, and shred them. (You can even put the juice in the dressing instead of some of the oil). We prefer dark meat, but the breasts probably shred a little more easily and aren’t too dry when mixed in. Last time, the husband grilled them and added yet another layer of flavor. 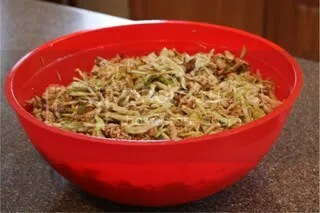 I do a whole head of cabbage (or two for a double batch), but once used bagged shredded cabbage and it did save a bunch of time. I’m generous with the almonds, especially since they come in a 6 ounce bag. I just toast the whole bag in the toaster oven (it really brings out the flavor) and throw them in. The sesame seeds I toast, but don’t bother grinding. The ramen is all the same- just with different flavor packets. I usually buy one Chicken flavor and one Oriental flavor. Again- DO NOT COOK! Light touch with the sugar too. I use balsamic vinegar because we prefer the flavor. The salad is darker (see above) and not quite as pretty as the original, but we think it is tastier and you can save on the sugar. I tend to substitute 1/2 cup good quality extra virgin olive oil. I don’t usually have sesame oil hanging around, so I use the vegetable oil here. I’ve also experimented with other oils such as grape seed or almond, and they added nice flavor elements. There you have it. Whether you asked for it or not. I would love to hear your variations. Anyone found a healthier ramen noodle or seasoning packet alternative?